Revitalize your look with sporty style and easy-walking comfort with the SKECHERS Synergy 2.0 Headliner shoe. 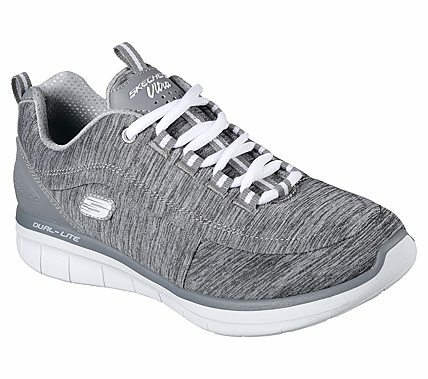 Soft heathered finish jersey knit fabric upper in a lace up athletic walking and training sneaker with stitching and overlay detail. Air Cooled Memory Foam insole.